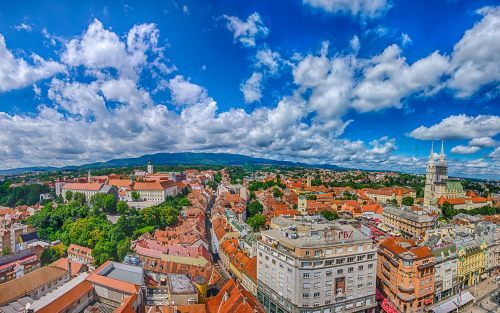 Condor Airlines just dropped the price of some of their June flights from Halifax, Nova Scotia to Zagreb, Croatia down to $589 CAD roundtrip including taxes. This is an astounding 47% below the typical best price for a roundtrip flight between Halifax and Croatia. When one destination drops drastically on Condor, there's usually a good chance that others have as well. So it's worth trying the other cities that Condor offers flights to. Below are the cheapest destinations that I could find after trying most of them. June 14 to 21 -- new! June 14 to June 21 -- new! June 10 or June 17 to June 24 -- new! June 10 to June 18 -- new! June 16 to June 23 -- new! Try similar dates to above. Other cities listed above may have also dropped into the $500s roundtrip, on similar dates. halifax, yhz, flight deals, nordic countries, northern europe, frankfurt, germany, fra, central europe, condor, vienna, austria, vie, munich, muc, prague, czech republic, prg, eastern europe, amsterdam, netherlands, ams, poland, zagreb, croatia, zag, balkans, southeastern europe, southern europe, copenhagen, denmark, cph, scandinavia, belgium, brussels, bru, paris, france, cdg, berlin, txl, warsaw, waw, zurich, switzerland, zrh, western erope, dusseldorf, dus, stockholm, sweden, arn, oslo, norway, osl, cologne, cgn, hamburg and ham.